Mothers who are obese or suffer from diabetes are more likely to give birth to children with autism, according to a new study. Both obesity and diabetes are associated with serious negative health effects, including an increased risk of heart disease and lowered life expectancy. However, the new study suggests that being obese also has a negative effect on the health of unborn children. In the new study, researchers looked at over 2,700 children to determine how many suffered from autism or intellectual disability. The researchers identified 102 children with autism and 137 with intellectual disability. 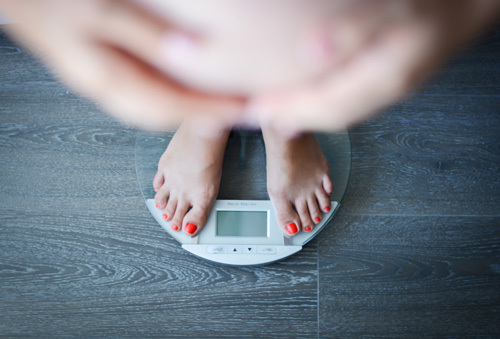 Using medical records and direct interviews, the researchers determined the pre-pregnancy weights of the mothers, as well as whether they had been diagnosed with diabetes. The results were startling. Both obesity and diabetes in mothers were linked to a significant increase in children born with autism or intellectual disability. Children with autism were more likely to have mothers who were obese or diabetic. For mothers with either obesity or diabetes, the risk that their child would be born with autism was doubled. If they had both obesity and diabetes, then the risk of having an autistic child was quadrupled, or four times as likely. This means that while only 1.5 percent of American children have autism, mothers who are both obese and diabetic have around a five to six percent chance of having a child with the condition. There was a similar increase of risk of these mothers giving birth to children with intellectual disabilities. Many of the children who developed intellectual disabilities were the same ones who had autism. The study’s findings suggest that if mothers are obese or have diabetes, they are much more likely to give birth to children with autism or intellectual disability. The findings of the study come at a time where rates in obesity and diabetes are on the rise. Among women of child-bearing age, over a third are obese and roughly 10 percent have diabetes. Not only are these women more likely to give birth to children with autism, but if rates in obesity and diabetes continue to increase, there may be increases in the rate of autism. It is not known why obesity and diabetes are connected with autism, but one theory is that since these conditions cause inflammation and hamper the immune system, unborn babies may be negatively impacted. While there was a connection between mothers with obesity or diabetes and children with autism, there is not enough information for researchers to say that obesity or diabetes are the cause of the autism. However, medical professionals are stressing the importance of losing weight and managing diabetes for women who want to have children. By exercising, eating healthy, and seeking proper treatment for diabetes, women can minimize the risk of their children having autism. “Mothers who are obese, diabetic are more likely to have children with autism,” Hub, January 29, 2016; http://hub.jhu.edu/2016/01/29/maternal-obesity-diabetes-increase-autism-risk.